ACHIEVE YOUR GOALS IN 2015! Now is the time to put your goals into action. The New Year is the perfect time to start pursuing the goals you’ve always wanted to achieve. Whether you want to get healthy, get out of debt or improve your relationships, boost your chances of success by setting realistic and measurable goals. 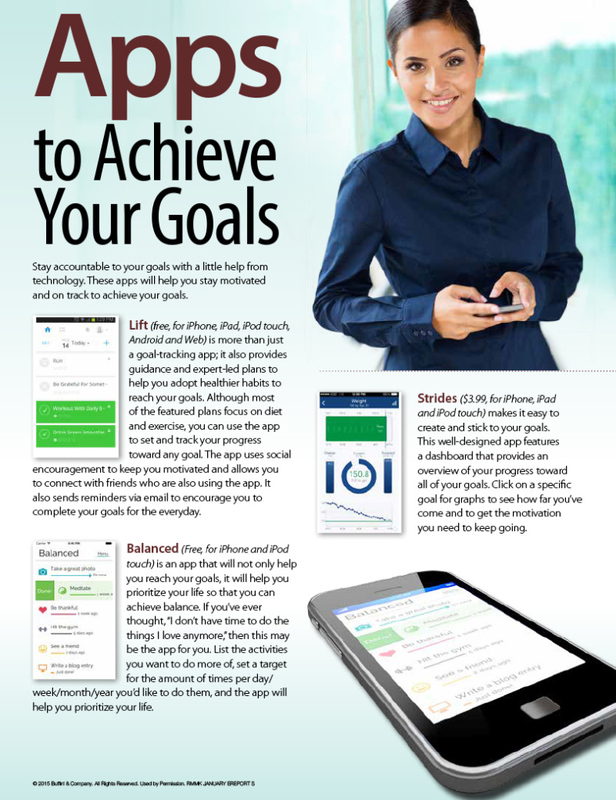 This month’s information is a goal-setting guide to help you get started. Page one explains the three things that are essential to creating tangible goals. If you’re not convinced that you should set goals for 2015, page two outlines five benefits of setting goals that are sure to change your tune. Feel free to pass this information along to your family and friends to help them set their goals for 2015.